« And starting a sentence with a conjunction might be OK. Thanks to my sister for sharing this one with me. So many things wrong with this sign. 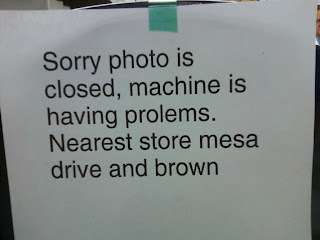 How can a photo be closed? 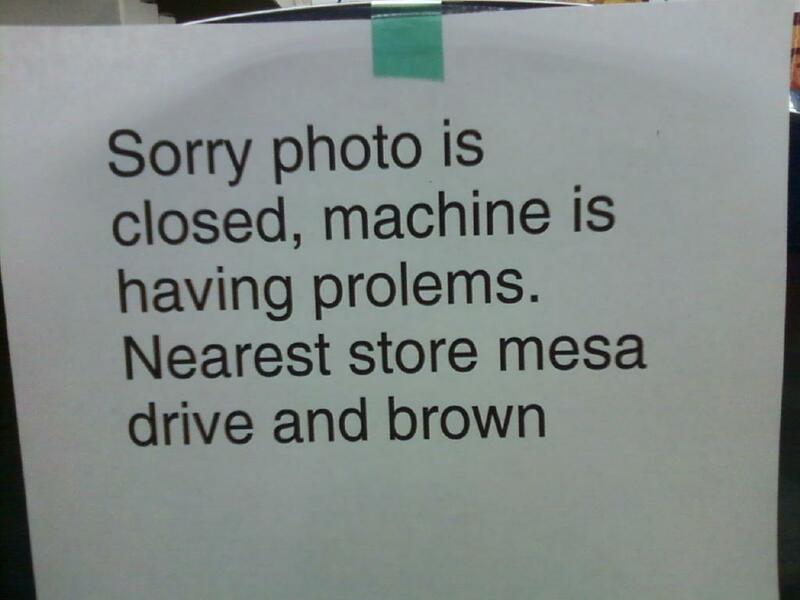 I assume they mean photo DEPARTMENT. The comma is not appropriate. I don’t know about you, but I was always taught that proper nouns (like names of streets) should be capitalized. Apparently, this person was only taught to capitalize the first word in a sentence. The last sentence isn’t even a good sentence with all the words missing.